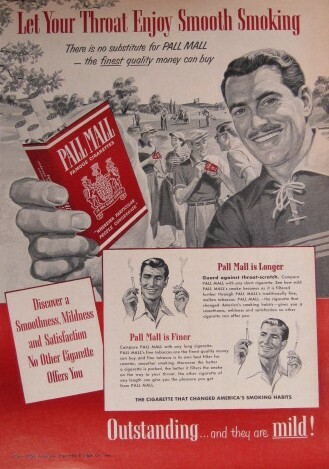 I don't think there were any anti-smoking ads in the 1950s. I certainly couldn't find any. 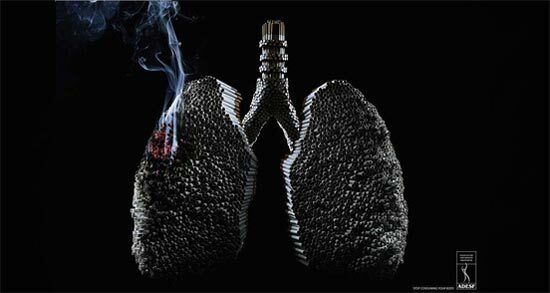 Below are some anti-smoking graphics from the noughties (2000s): Whether you smoke or not you have to admit the graphics are both very creative and well done. 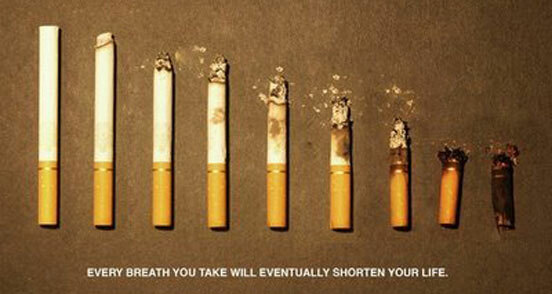 When I searched online for "Smoking Advertisements 2010" I only found anti-smoking advertisements. 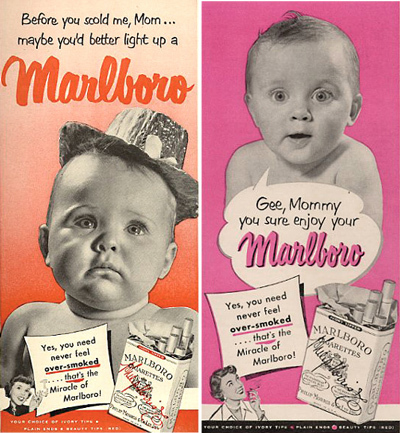 I know that cigarette companies still advertise, but the anti-smoking movement is more prominent today. My, how things have changed over the years. I just thought about this. How many of you remember this commercial?